Court rules that the state must return the property to owners. This does not mean residents evicted in 2008 can return. 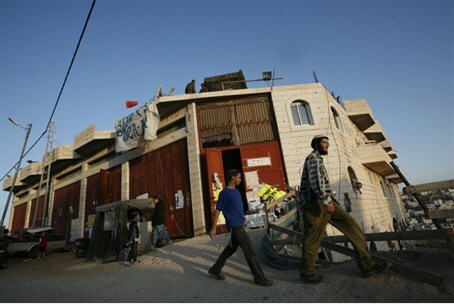 The Jerusalem District Court ruled Thursday that the Peace House in Hevron must be handed back to the Jewish company that owns it. Judge Moshe Baram ruled that the company, Tal Ltd., which acted on behalf of the Jewish community of Hevron, has the right to receive the property, which was temporarily handed over to the state until the dispute over the rights of ownership was decided. Now that the Jewish ownership has been established, he ruled, the state must hand over the property within 30 days. The Arabs who claimed ownership of the property will pay court expenses as well as NIS 50,000 in legal fees. This does not mean, however, that the Jewish families that lived in the building will be allowed to return to it. That depends on permission from Minister of Defense Ehud Barak, and such permission is not likely to be granted. Barak ordered the eviction of the Jewish residents on the pretext that their presence in the house was a security risk. The eviction was carried out in a violent action in December of 2008.